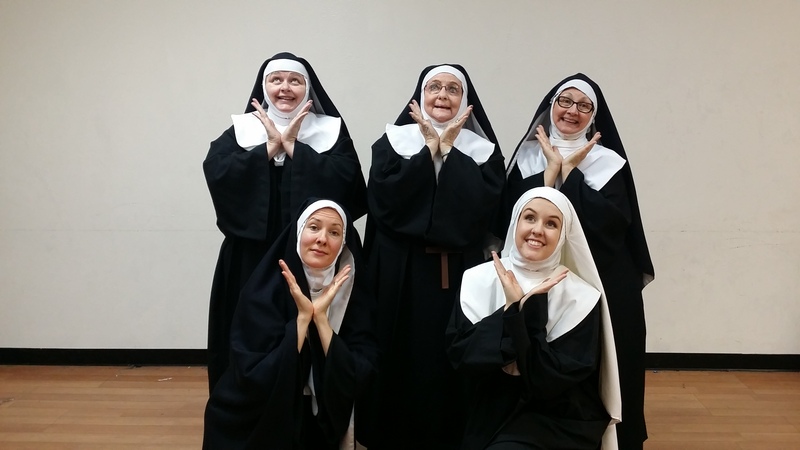 Paradise Theatre‘s production of “Nunsense” — its first show since moving to its new downtown Gig Harbor location — has been postponed, according to co-artistic director Vicki Richards. The show was set to open Feb. 5. But delays with construction permits have set back preparations for the new venue at 3114 Judson St., necessitating a push-back for opening night. Richards, who fronts the company with her husband, Jeff Richards, said they hope to open the show on Feb. 18, and determine how the run will fall into place as soon as possible. “It’s all a moving piece right now,” Vicki Richards said of the project to convert Paradise’s new spac e into a proper performance venue. “We just got to a point with all the permits and the contractors where we were cutting things too impossibly close” to make the Feb. 5 opening. “It’s coming along,” she added. “The stage is built, a lot of the work is done. We’re doing what we can.” Some work couldn’t be undertaken, though, until the building permits arrived and materials could be ordered. Paradise lost its home of more than a decade at the end of last year when the Fishermen’s Hall building off Burnham Drive was scheduled for the wrecking ball to make room for new development north of Gig Harbor. Richards said the Feb. 18 opening will continue Paradise’s opening-night wine-and-cheese nosh prior to the show. The cast (pictured above, clockwise from top left) includes Courtney Turnley, Sylvia Shaw, Nita Wilson, Ashley Roy and Shannon Burch. Paradise is far from the first area company to postpone an opening in the past few months; their delay is for different reasons, though. Since November, four other shows have been delayed by illnesses or injuries suffered by cast members.